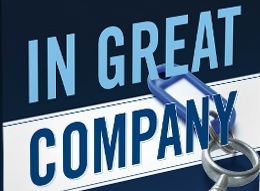 Published by Human Synergistics, In Great Company: Unlocking the Secrets of Cultural Transformation is a comprehensive examination of five leading Australian companies that have successfully transformed their business with inspirational results. Whether you are the leader of an organization or aspire to be one, whether you are an experienced change agent or are just entering the field, this book will help you understand the initiatives, strategies, and personal actions needed to create lasting cultural change and improve the overall performance of the organization. In the first edition (2006), we focused on an in-depth approach to how companies go about creating organizational change. Since then, the world at large has experienced extraordinary external drivers, including the global financial crisis and devastating natural disasters. This led to us revisiting three of the original case studies to investigate how these impacts test the initial investment in company culture and enable these businesses to be resilient and sustainable in tough conditions. The dominant theme to emerge from the updated research was the sustainability of cultural change and the benefits of the "Constructive Core." What creates cultural transformation in organizations? 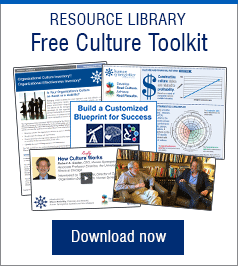 How can organizations transform their cultures successfully? Do businesses with Constructive and supportive cultures perform better? Can cultural change be sustained in uncertain times? In Great Company is available for purchase through Human Synergistics. Please contact us to place an order. Books may also be purchased through our online shop.